The ultimate goal of the education which Coláiste Iognáid provides is an effective appreciation of the radical goodness of the world "charged with the grandeur of God" (1). In accordance with the Jesuit tradition, our response to God working in our world is the pursuit of excellence in all things, the Ignatian "magis" (2), as our way of co-operating with God's dynamic creation. This principle is at the heart of all we attempt within the school and is applied to all areas of school life: our aim is to assist in the complete development of each pupil, as an individual personally loved by God. This concept leads to the full growth of the person which in turn leads to action through the use of talents for the good of others and learning what a Christian Faith that does justice means in practice. In the context of the changing educational circumstances at the beginning of the new century, both nationally and in Coláiste Iognáid itself, the need for an analysis and exposition of what the school stands for has become increasingly necessary to ensure a continuity in school philosophy and outlook. We intend that this Vision Document provide the basis for such continuity. But the Vision Document has a second function; to provide a sounding board and inspiration to which staff members can occasionally return to gain new insights into the long-term objectives of their work. Bound up in the day-to-day problems and frustrations of teaching, it is necessary now and again to return to a consideration of the broader, longer-term philosophy of what we do. It is hoped that the Vision Document can fulfill this function too. Our vision derives its inspiration from the life and writings of St. Ignatius, specifically the Spiritual Exercises. Motivated by a deeper understanding of God working in our world and His call to share in this work, those who have experience of doing the exercises are engaged in education as a way of promoting the Gospel values. The philosophy of Coláiste Iognáid and therefore of the Vision Document is rooted in this tradition, while taking full account of the nature of the society in which the school functions. Of necessity, the Vision Document is written at a point in time, but it attempts to capture the underlying philosophy, which should be central to the school at all times. Perhaps the longest standing and most enduring mark of our school has been its Jesuit presence, with the accompanying outlook and philosophy which that presence implies. Our vision finds a touchstone in the worldwide involvement of Jesuits in education and the rich traditions associated with their outlook. The most recent expression of the Jesuit philosophy is to be found in the document, "The Characteristics of Jesuit Education (1987)" (hereafter abbreviated CJE). Such sources will continue to ground our vision. 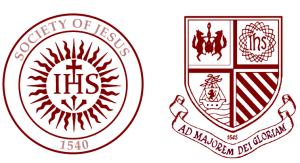 The fact that the Jesuit presence has become substantially smaller should not materially affect the vision of the school, as this vision, though originating with the Society of Jesus, is shared by the staff as a whole, both Jesuit and lay. We wish it to be shared by the full school community of staff, parents and pupils. Lastly, the document should be seen not simply as a philosophical extrapolation of what the school as a community has become or is already achieving, but also as an agenda for future achievement. The education, which Coláiste Iognáid provides, is committed both to the pursuit of academic excellence and to preparing the pupils for life. We strive for the formation of the balanced person who will play a fulfilling and responsible role in society at large. To achieve this our education tries to develop the individual talents of all pupils to the full extent so that they will learn to think reflectively, logically, and critically, and to communicate effectively. In addition, the imaginative, creative, spiritual and physical dimensions of the pupils are catered for as part of the overall education of the whole person, with particular emphasis on the cultivation of a love of the arts and humanities. The religious ethos of the school being Roman Catholic, it is important that the religious education of the individual should permeate everything else, promoting a personal relationship with Christ and the importance of prayer and the sacraments. Our religious education encourages the pupils to "see God at work in their life, in the lives of others, and in all of creation; then responding to this discovery through a commitment to service within the community," (CJE. Par. 63). Though Catholic in its philosophy and outlook, the school welcomes those of other faiths and facilitates and welcomes the participation of non-Catholic chaplains in the religious formation of their members who are pupils in the school. Care of the pupil, as a unique human being is central to the school's philosophy. Our education tries to train the character and will of the pupil, developing respect and care for others, both in the immediate school community and in the wider world. It is hoped that the pupils learn to think for themselves; to be independent, self-disciplined, self-reliant and adaptable. Pupils are encouraged to take responsibility for their own education, to learn how to learn in short, to be educable. Our education also tries to deepen the pupil understanding of himself/herself thus permitting them to grow and to develop adequate critical faculties. In tandem with this must be the development of the individual's knowledge of reality and an ability to evaluate it critically. Our school provides an education which tries to form young men and women who will put their beliefs and attitudes into practice, and it promotes a view of personal talents as gifts to be developed for the good of the human community at large and not merely for personal benefit. The school also encourages an understanding of the need for justice as a necessary concomitant of one's commitment to Christ, and promotes the attainment of justice in society. It also provides pupils with the "opportunities for contact with the poor and for service with them," (CJE. Par. 89). In general, we promote an attitude to society, which is positive and constructive, while never being blind to its faults. As an extension of the need for selflessness, which is encouraged in the pupils, our education also promotes respect and concern for the proper use of the environment in which the pupils live, whether within the school itself, or in the world at large. Because of the specific location and tradition of Coláiste Iognáid, there is cultivation in the pupil of a love of heritage, specifically a love of things Irish, with a special commitment to the Irish language, in order to integrate this heritage with the world in which the pupils live. Coláiste Iognáid is a community of Jesuit and lay staff members, parents, and pupils and past pupils. The staff forms the central community responsible for implementing the aspirations of our vision. United by a common vision with common goals, teachers and administrators try to share ideas and experiences in order to discover the principles and methods that will provide the most effective implementation of our vision. In order to remain effective as educators, all need to take advantage of opportunities for continuing education and continued personal development, and so staff development is a feature of our school. As a team, the staff aims to exemplify a structure that promotes community through collaboration, participation in and support for the various aspects and programmes in the school, as well as endeavoring to instil the pursuit of excellence among the pupils. In general therefore, the tension between our vision and the time-bound present provides the essential challenge and source of energy to improve and strive for better things. Much of what we state as our vision is present; much will have to be developed collaboratively. 2. Repeatedly, St. Ignatius insisted on the “magis” - more. His constant concern was for greater service of God through a closer following of Christ and that concern flowed into all the apostolic works of his first companions. The concrete response to God must be to do everything “for greater glory of God......A.M.D.G.”(CJE. Para. 105). Our vision is informed by our history. The tradition of Jesuit education in Galway is a long and varied one, not only in the variety of place and time, but also in its attempts to meet the challenges of the evangelisation in different decades. Since 1620 the Jesuits have, with some involuntary intermissions, been working with and for the people of Galway. In 1645 our first school was founded through the generosity of Edmund Kirwan. While the language of the classroom was Latin, it is worth noting that only Jesuits with a fluent command of Irish were sent on the "Irish Mission". The school, incorporated it seems, into a Jesuit residence in the present Abbeygate St., survived and flourished although it had been established at a time of political upheaval and military activity. After the surrender of Galway to the Cromwellian forces in 1652, all priests were either banished or imprisoned. In spite of this the Jesuits tried to maintain contact with the people of the area, and there is reference in 1658 to three members of the Society living secretly in Co. Galway. Jesuits returned openly to Galway after the Restoration of Charles II, but were banished again by Williamite forces in 1691. Once more they made a comeback in 1728 and for forty years they worked among the people of Galway. Sadly, a decrease in manpower forced the withdrawal of the "Mission" in 1768. In 1859, at the request of the Bishop, members of the Order once more took up residence in the city, this time in Prospect Hill and served in St. Patrick's Church. Within a year they had opened a college near the site of the present Bank of Ireland at 19 Eyre Square. The college's present location on Sea Road dates from 1863. The modern phase of Coláíste Íognáíd began in 1929. The local enthusiasm for the language revival efforts of the emerging State was to be served by a re-invigorated Coláíste Íognáíd, which became an Irish-medium school in 1931. In spite of many difficulties this service has continued to the present day; improvements in curriculum, buildings and equipment being made as circumstances demanded and opportunities allowed. In contrast with our original foundation of 1620, Coláíste Íognáíd became part of the "non-fee-paying" secondary school system in 1967. With the co-operation of managment and staff, coupled with the generous help of parents, past pupils and friends of the Society, the present main school building, the Griffin Building, was opened in 1969. With the generous assistance of our parents and past pupils and with Government grants we embarked on an ambitious building programme in 1982. This provided the school with a new science block, the O'Reilly Building; a refurbished classroom block, the Andrews Building; as well as adequate library, art, computer and co-educational facilities. Co-education was extended to the whole school in 1984, to become the first fully co-educational secondary school in the city. In July 2010 work begins on the transformation of the Andrews Building. The entire redevelopment of the site will see expansive modern facilities underpin the work of the Coláiste and become a key feature of the school’s readiness to serve in the modern world. We are delighted that further work continues on the redeveloped boat house enabling our oarspeople have the most advanced clubhouse in a spectacular Corribside setting. Coláíste Íognáíd is a non-fee paying co-educational secondary school, comprising Jesuit and lay staff and catering for a broad spectrum of social and academic intake. We have a three-form entry. One form offers education through Irish up to Junior Certificate and all three forms offer mixed ability teaching. In the three-year junior cycle all pupils follow the Junior Certificate syllabus in the core subjects of Irish, English, Maths, French, Commerce, Science, Geography, History, S.P.H.E. and .C.S.P.E., as well as Religion and Physical Education. There also options to study Home Economics, Technical Graphics, Art, Music and German. Transition year follows Junior Cert and comprises a selection of courses designed within the school and taught as modules. The subjects take are as follows: Accounting, Art - Design & Craft, Career Guidance, Computers, English (in 4 modules - Media Studies, Modern Fiction, Drama, Creative Writing), French, Gaeilge, Geography, German, History, Home Economics, Safety, Home Maintenance, Mathematics, Music, P.E., Religious Education, Science, Spanish and Social Studies. Considerable attention is also given to the promotion of the European Computer Driving Licence course for T. Y. students. To provide a well rounded formation, extra curricular activities are an essential element in the education provided in Coláíste Íognáíd. Staff, parents and former pupils undertake these activities voluntarily and their generosity cannot be quantified. It is expected that each pupil will participate in at least one of the very varied activities provided. As circumstances allow, we provide the following sports: Rowing, Gaelic football both boys and girls, Rugby, Hockey, Soccer, Basketball, Badminton, Canoeing, Golf, Athletics, Swimming and Mountaineering. We also encourage various clubs and cultural activities such as debating (Irish and English), Drama, Social action and Orchestra. In many of our extra-curricular activities we enter city, provincial and national competitions like Feile Scoil Dramaiochta, Feis Ceoil na hEireann,, Concern & Denny debates and Young Scientist Competition, Golf and the various Blitz, Cup and League fixtures and Regattas. The Board of Management was established in 1980 to provide realistic involvement of the staff and parents in the overall management of Colaiste Iognaid. The Board of Management, which is appointed by the Jesuit Provincial, comprises three nominees of the Jesuit Provincial, two elected staff nominees and two elected parent nominees. It is responsible for the curriculum, finances, staffing and facilities of the school. It carries out its function according to the agreed Articles (cf. Appendix 1). The Board is responsible to the Jesuit Provincial and is the ultimate authority in the school. The Headmaster, as the Executive Secretary of the Board, is responsible for the ordinary day-to-day running of the school and acts as ‘Bainisteoir’ in relation to the Department of Education. The Board procedure often makes use of Sub-Committees and so gains the expertise of relevant qualified persons from the wider community to assist in its management functions. Many aspects of our vision need to be explicated in the daily life of the school. A vision would fail if it did not challenge and encourage a greater inspiration and implementation. Strategies must be constantly reviewed and new steps need to be taken as circumstances demand if the vision is to be vibrant. Our commitment to Irish has always been great and continues to be so. There are two aspects to this commitment. We wish to cultivate a love and appreciation of all that is best in our heritage and in Ireland today. We also have a specific commitment to the Irish language. Though these are closely connected and overlap, the emphases differ. We educate our students to know and appreciate their own history, literature, music, art, drama, folklore, dance and traditions. We would like to see them develop "mórtas cinne", a healthy pride in being Irish and to get to know all the traditions in the country, North and South. We wish to encourage an understanding of the need for justice as a necessary concomitant of a pupil's commitment to Christ. It is envisaged that we develop the social consciousness of our students through practical experience and critical reflection. That aspiration finds its expression in the Transition Year Social Outreach programme, different actions taken by groups within the school assisting those on the margins at home and abroad and through the annual Post-Leaving Cert. South Africa Challenge in conjunction with Slí Eile. Jesuit links with the broader apostolates of the Society need to be more formal to ensure a continuity of the Jesuit influence and vision in the school. This may be achieved through seminars, talks, and literature provided through our Jesuit contacts. The work of the Ignatian Identity Group has proven critical to furthering links with all aspects of the Jesuit Mission. Cultural links with many groups and organizations are important; for instance contact with the Gaeltacht and the summer colleges, Writers in School and Drama for Schools groups, various subject field-trips and guest speakers. Many of these contacts exist in seminal form and will need stronger ties with the school community as well as with individuals. Career Seminars and visits, alongside the annual Careers Day for senior students provide necessary viewpoints for the transition from school to College and the workplace. The school forms a community and is committed to the development not only of the pupils as our primary concern, but to the development of parents and staff. We must continue to encourage further professional expertise, both on an individual and a group level, among the staff. Membership of professional associations is encouraged and the attendance at seminars and workshops is facilitated where possible. Cumann Sean Daltaí Choláiste Iognáid was refounded in 2009 with a view to cementing the links between the College and its alumni. Past pupils continue to contribute to the school by support and sponsorship. We need to develop more effective procedures to facilitate their contact with the school and be involved in the interaction between the school and the broader society locally, nationally, and indeed internationally. In summary, Colaiste Iognaid will endeavour to show Faith at work through justice and compassion; to provide opportunities for young people to explore the mystery of a loving God through a relationship with Jesus and to develop their abilities to the full extent so that they will become, outstandingly, people for others.